Registrations that include a t-shirt are now closed. Please See Sponsorship Opportunity Descriptions Below. 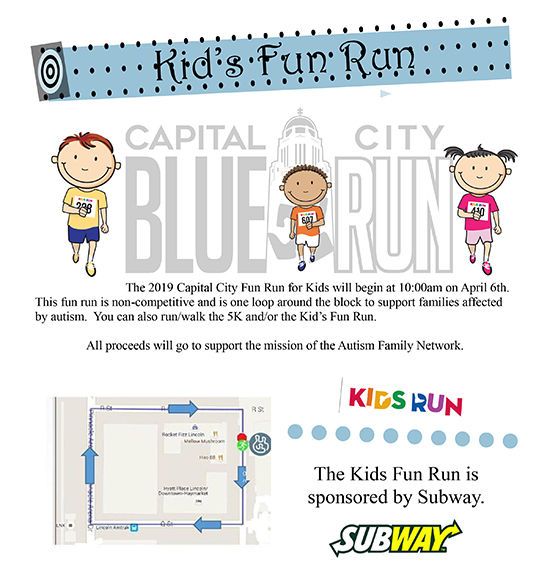 The Autism 5K is a run/walk to benefit families affected by autism. Every 20 minutes a child is diagnosed with autism and 1 in 59 children are currently diagnosed. Overall, more than 1.5 million Americans are affected. 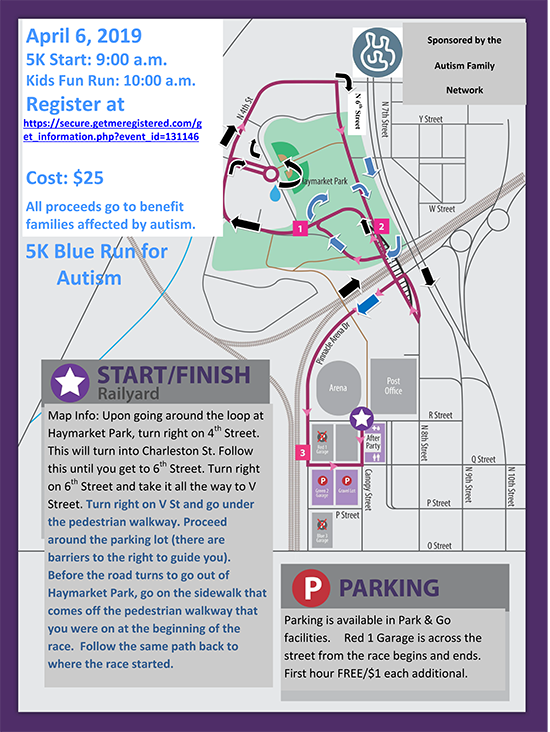 The race starts in the Railyard then takes you on a tour of Haymarket Park and back to finish on Canopy Street. For Serious & Not So Serious Runners - Prizes will be awarded for the best Light It Up Blue outfit as well as overall winner. Following the race, join us for refreshments and snacks. Everything from Platinum Sponsor plus the logo on printed material. When this page loaded, the official time was 4:35:59 PM EDT.